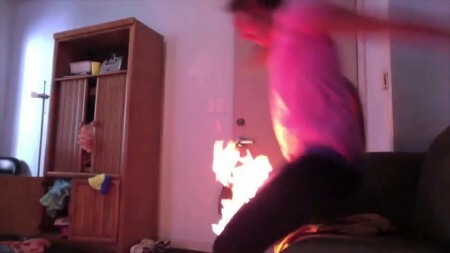 The fake video which went viral showed a woman who caught fire while filming a 'twerking' video for her boyfriend. LOS ANGELES - US late-night comedy host Jimmy Kimmel triggered a wave of online debate on Tuesday after revealing that a "Twerk Fail" video which went massively viral was actually a fake stunt for his show. The Hollywood Reporter posted a tongue-in-cheek opinion piece declaring the "Twerk Fail Hoax means we can't believe the Internet anymore," and some called him mean, but most praised the media ruse. 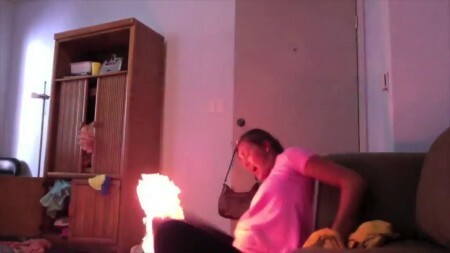 The video, of a woman apparently setting herself on fire while doing the pelvis-gyrating dance move recently made famous by teen star Miley Cyrus in a controversial awards show performance, was watched by 9.3 million people. 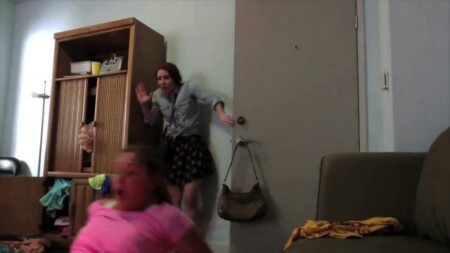 In it the girl, apparently making a video for her boyfriend, twerks - a dance involving highly-suggestive pelvis thrusts - in a series of positions, before crashing onto a table and apparently setting herself alight. 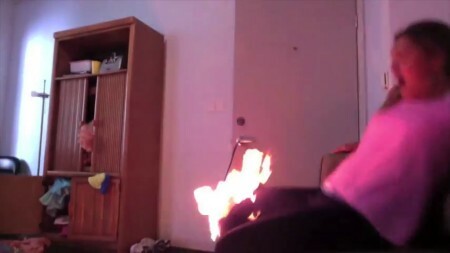 On Monday night Kimmel showcased the video, initially on the basis that it had gone hugely viral - but then suddenly appeared himself in the clip, and dousing the flames with a fire extinguisher. "To the conspiracy theorists on the Internet who thought the video was fake, you were right," he then said, revealing that "Caitlin," the hapless twerker, was in fact a stuntwoman who made the video with Kimmel about two months ago. "We just put it on YouTube and let the magic happen, and the magic happened. It got nine million views in less than a week," he said. 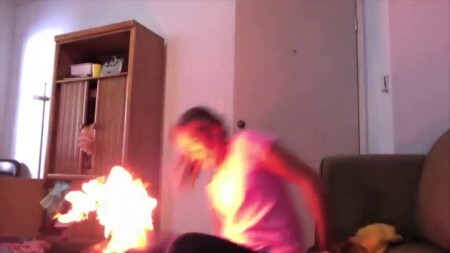 The Hollywood Reporter opined on Tuesday: "A girl accidentally sets herself on fire doing the latest dance craze, and a nation is duped into thinking it's real. Has it really come to this? "The Internet is made of lies. You might not know that. You might think it was made of spam emails from Nigerian princes, selfies, and ads for pornographic web cams, but it is not. "It is made of half-truths, obfuscations and attention-seeking stunts." Reaction on Twitter was mostly complimentary about Kimmel's ruse. "Aw man this was staged. Still a cool bit though," wrote jasonneal. By Tuesday, the original video had more than 10 million views on YouTube, while the version featuring Kimmel revealing it was fake had more than 2.7 million. Kimmel was clearly proud of having successfully duped so many people - including lots of TV news stations which featured the viral video - tapping into the dance craze ignited by Miley Cyrus' turn at the MTV awards last month. After revealing the prank, Kimmel's show ran a compilation of clips of TV news anchors featuring the video prominently on their broadcasts over the last week. "A good job nothing is happening in Syria right now," he quipped.